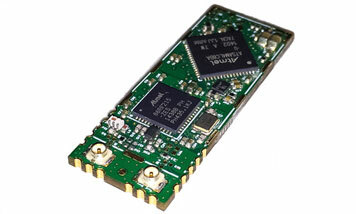 CNX200 is the worlds first TRUE dual-band module supporting simultaneous communication on two frequency bands namely sub-GHz and 2.4GHz addressing the increasing demands of customer who is looking for low-cost multi-protocol connectivity solutions. CNX200 complies with latest IEE802.15.4g-2012 and ETSI TS 102 887-1. CNX200 offers a multitude of modulation schemes ranging from multi-rate multi-region FSK, OFDM, O-QPSK in European, American, Japanese, Chinese, Korean, and worldwide ISM frequency bands. CNX200 is designed primarily to address the tough demands of IP500 standard for a secured and fail safe communication which can comply to EN54-25 and VdS. The CNX200 dual band module is an ideal platform for OEM’s looking for a versatile hardware platform which enables them to quickly design wireless into their product in smart metering, smart lighting, smart home, smart energy and automation as well as Industrial space. CNX200 is the only module in market offering simultaneous operation in both the bands and is compatible with OMS, ZigBee, Thread, as well as IP500®.